On part 1, I described how to install and configure ADFS on a Windows 2012 R2 server and in this post I will describe how to configure Ms Dynamics CRM 2013 to use claim based authentication. 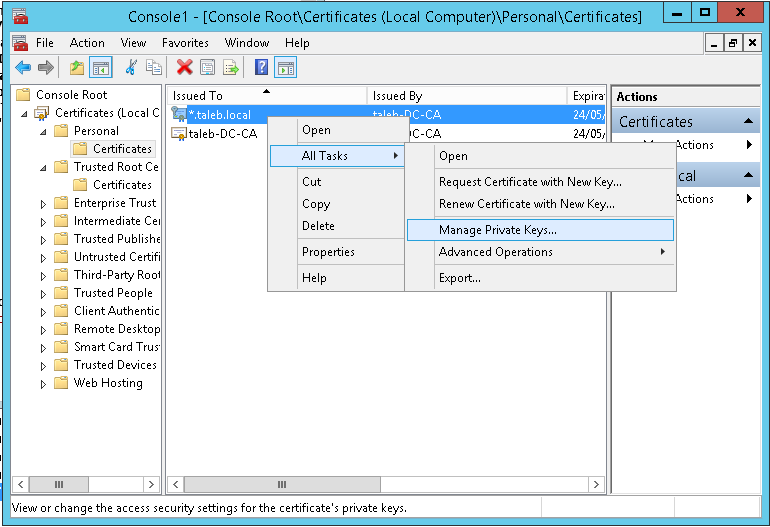 A wildcard certificate with private key installed. 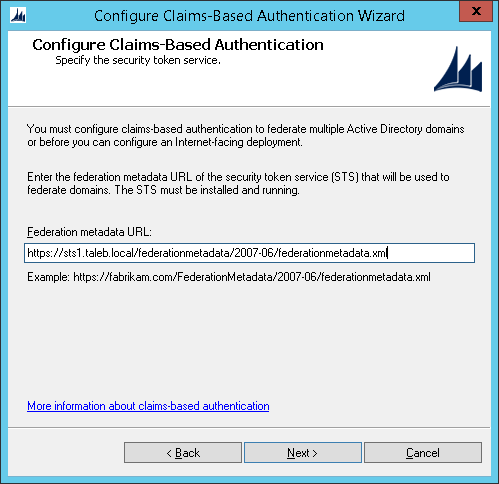 Note that IIS will display the certificate friendly name here, you can always click view to ensure that you have the correct certificate here. 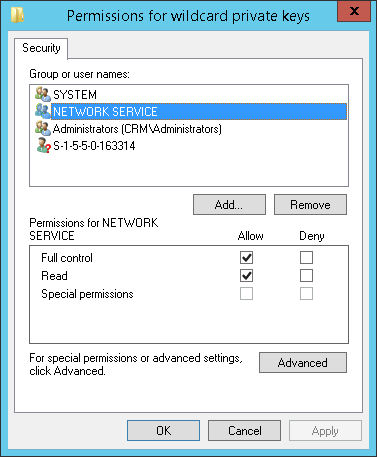 Note how because I'm using Network Service to run the CRMAppPool, that is the account that needs to be able to read the private key. 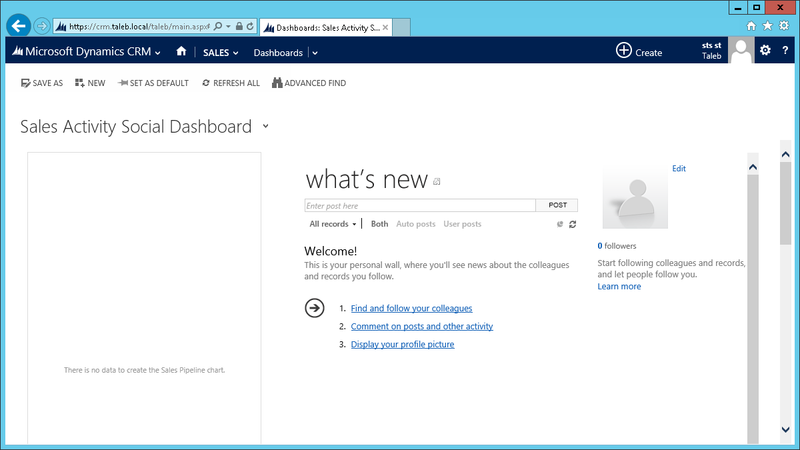 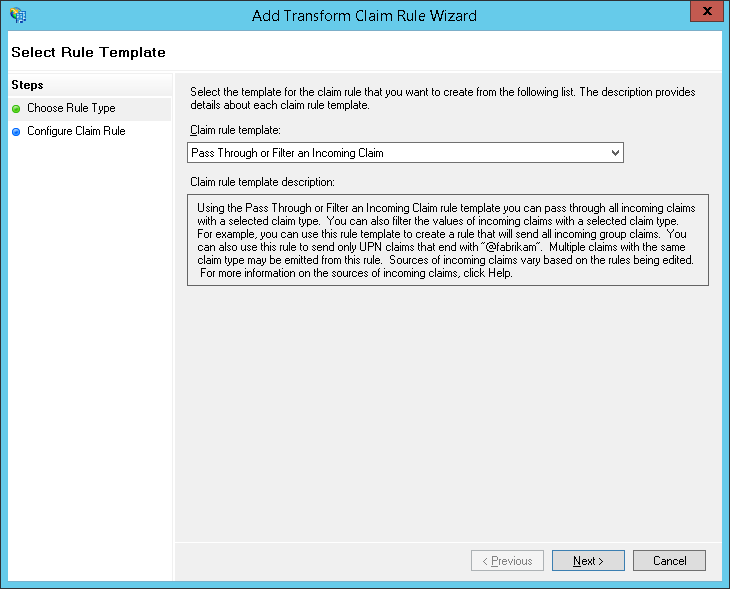 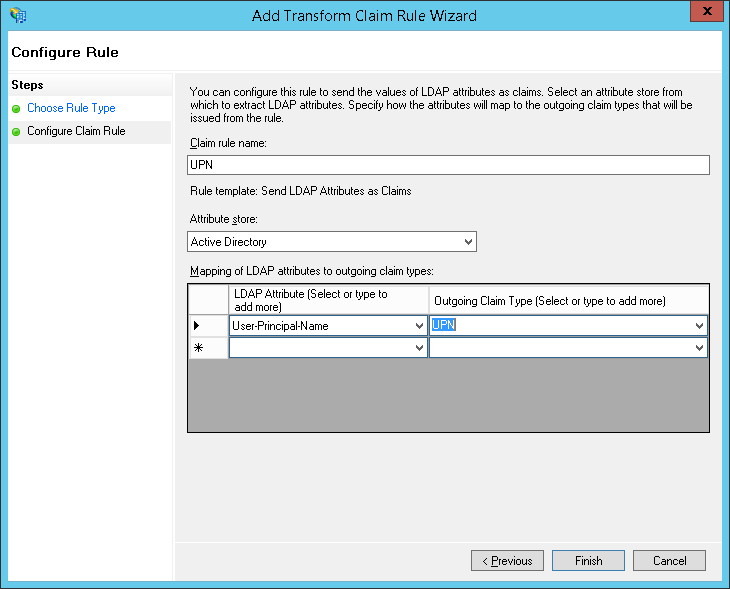 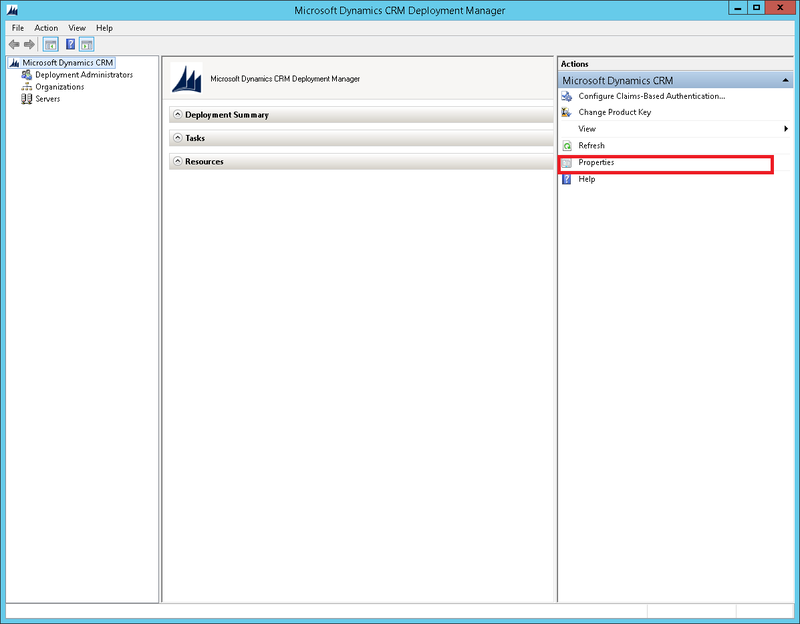 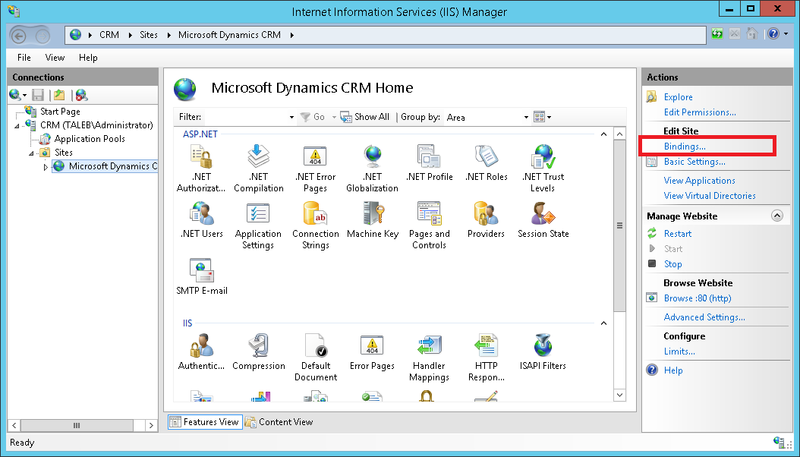 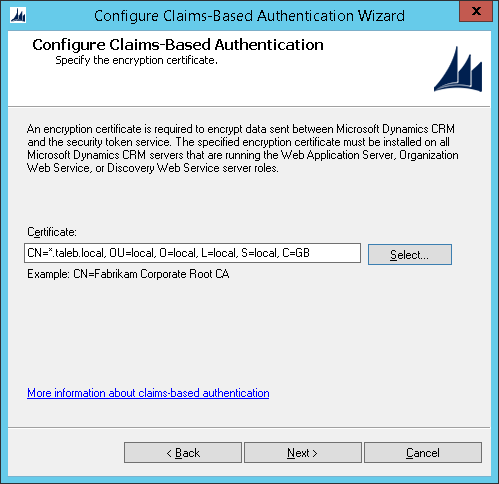 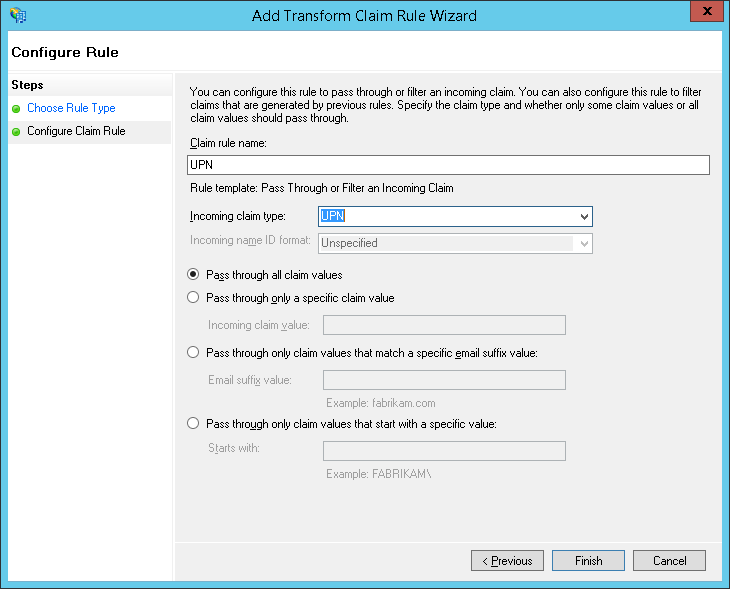 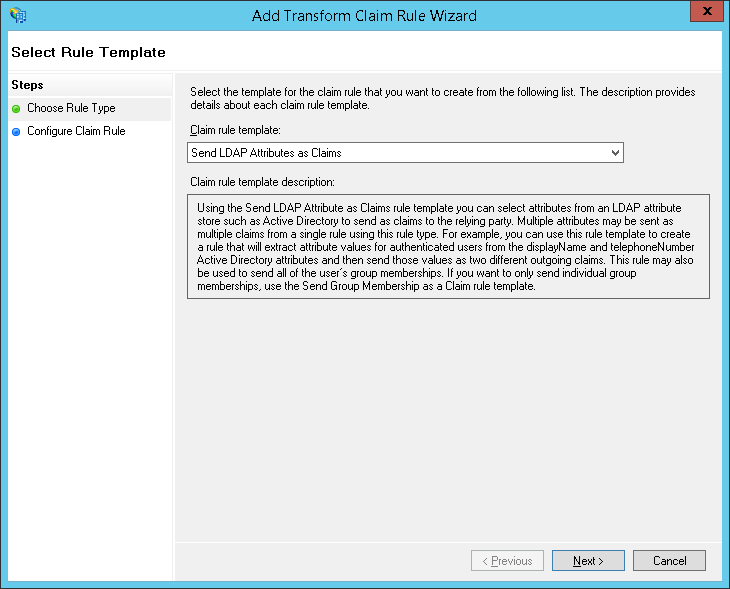 The next step is to configure Ms Dynamics CRM 2013 for Claim based authentication. 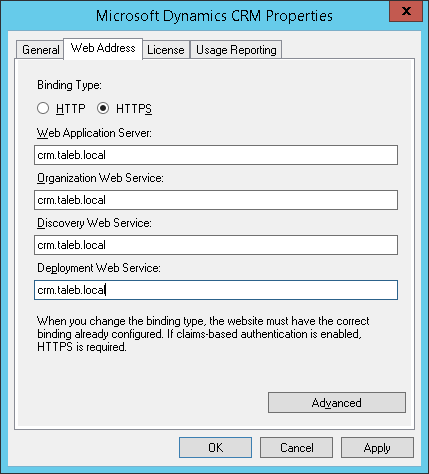 First we need to ensure that the binding type is set to HTTPS. 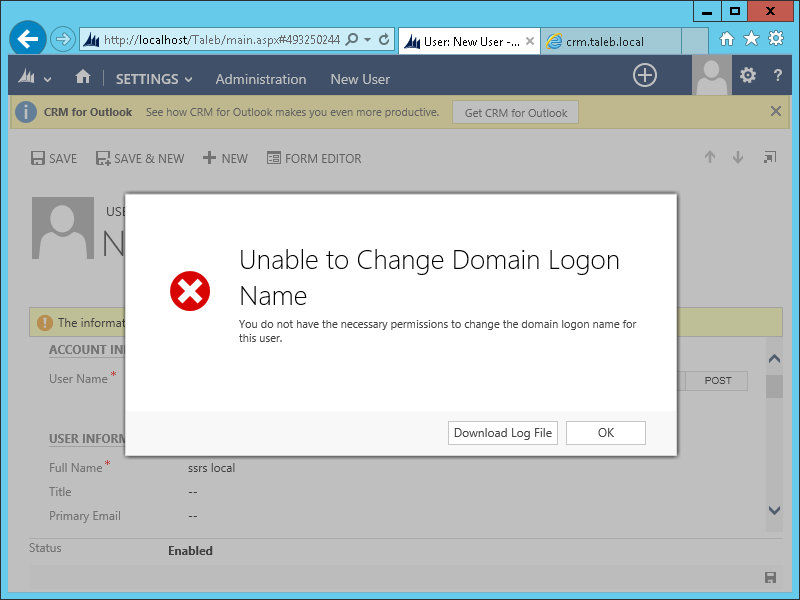 Make sure you that you click Apply. 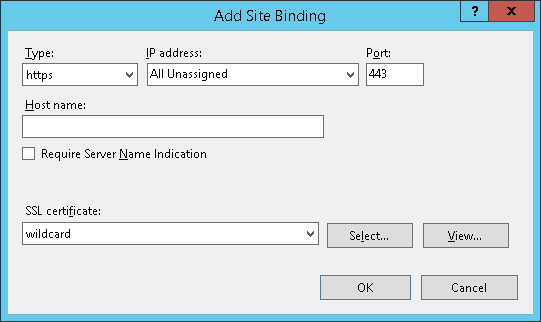 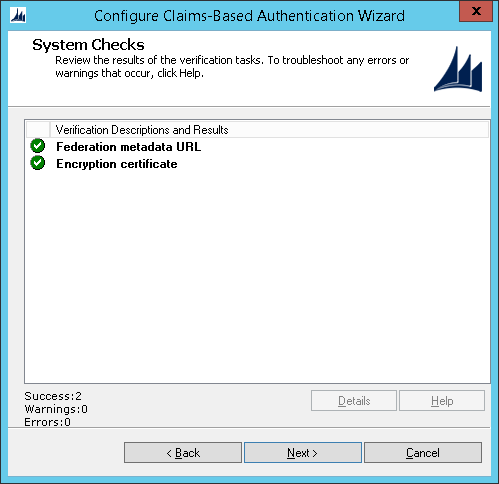 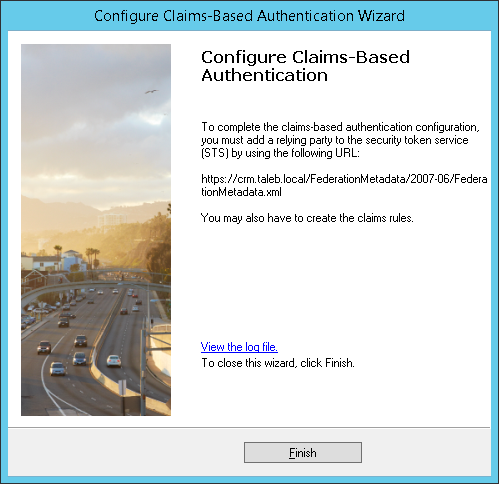 Click on Configure Claim Based Authentication and follow the wizard. 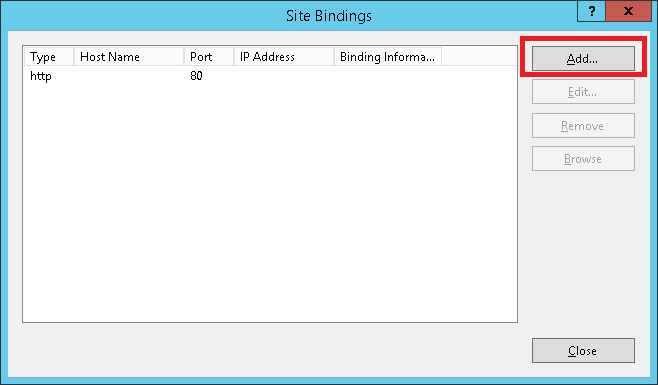 It is possible to copy the URL for the relying party by opening the log file and scrolling down to the bottom of the file. 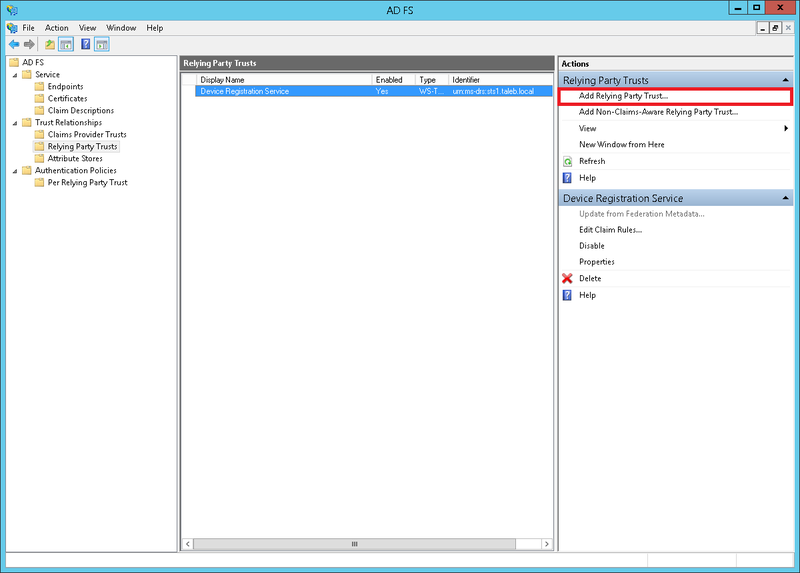 From the ADFS server, start the ADFS Management Console (Server Manager -> Tools -> AD FS Management). 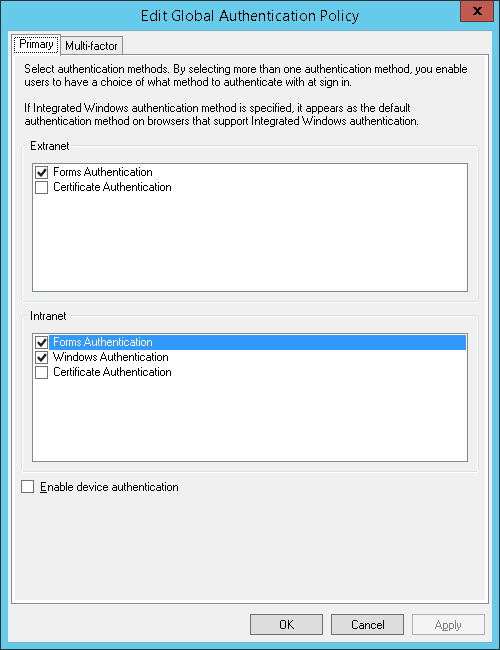 We need to ensure that Forms Authentication will be allowed from the internal network. 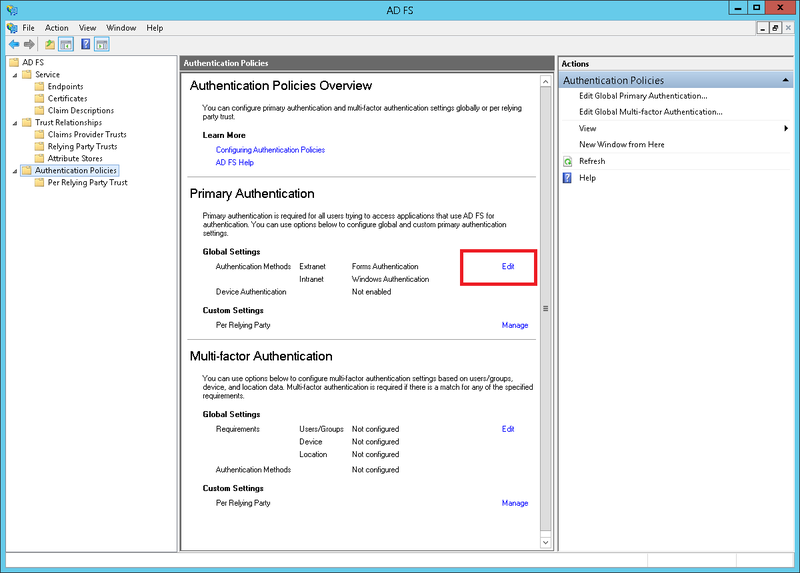 Click on Authentication Policies, then on Edit. 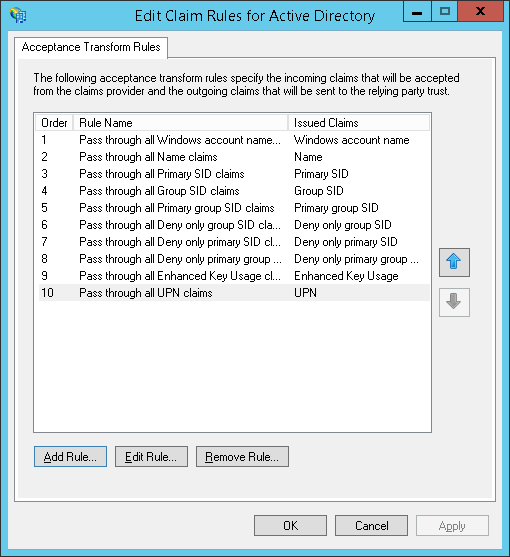 Tick Forms Authentication and click Ok.
A claim rule is needed to obtain the UPN from the Active Directory domain, so from Claim Provider Trust, select Active Directory and click on Edit Claim Rules..
We are now ready to add a relying party trust, so on the Relying Party Trust menu, click on Add Relying Party Trust. Note how this is the URL the Claims Based authentication wizard tells us to use for configuring a relying trust, it's https://<FQDN>/FederationMetadata/2007-06/FederationMetadata.xml. 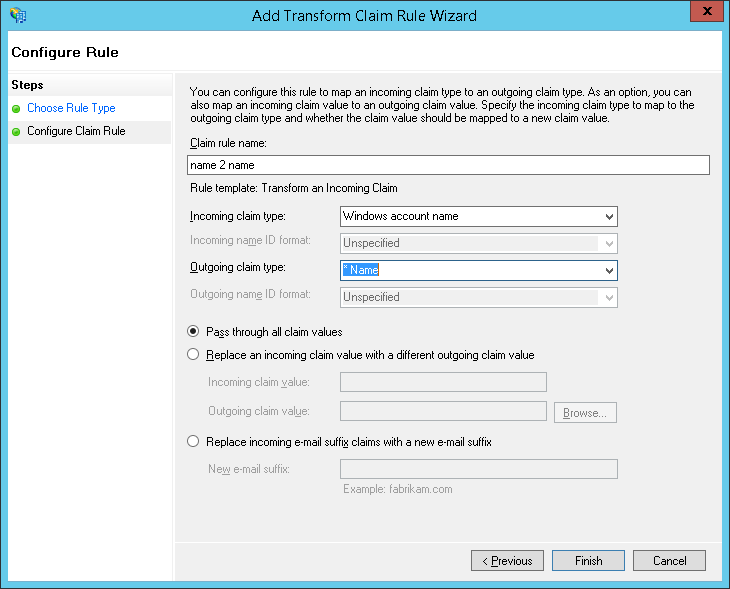 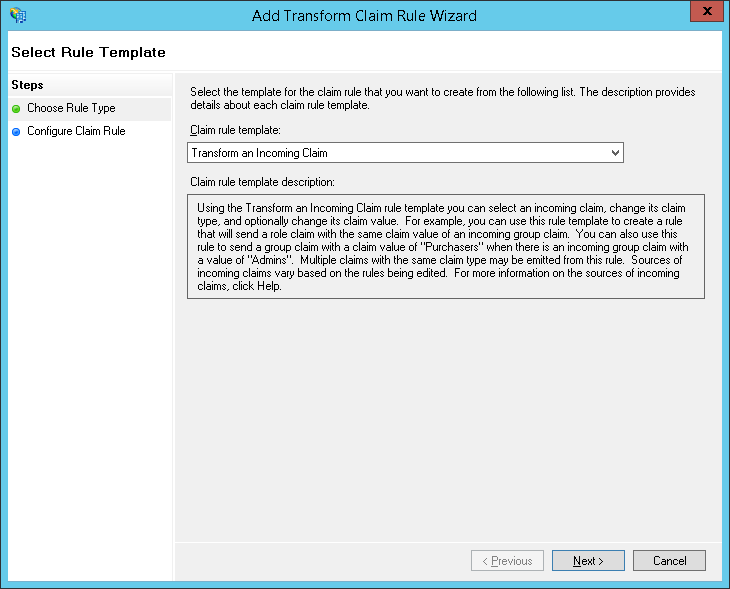 Once the wizard completes (just click Next until you get to the end), it is necessary to add three Issuance Transform Rules. 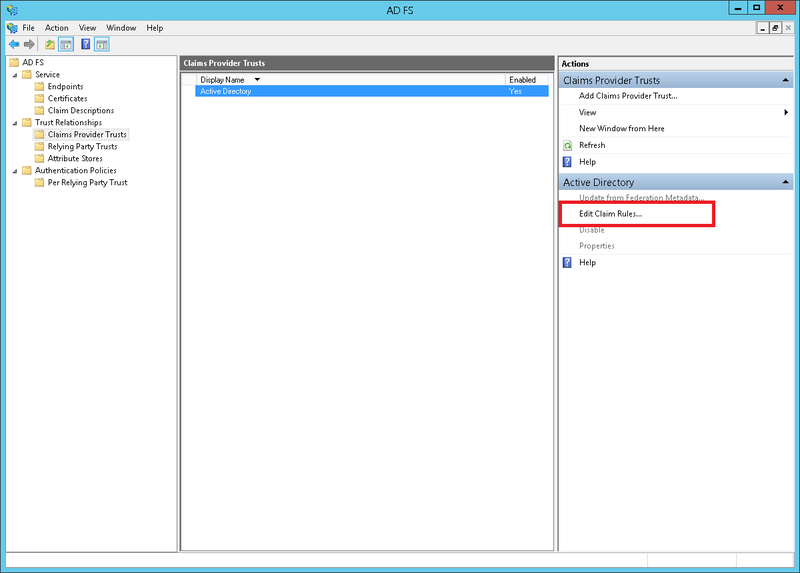 It can be turned off by setting it to 1.